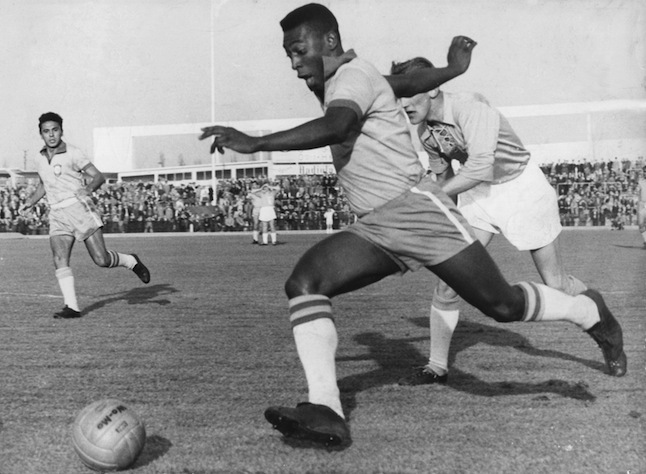 Brazilian striker Pele (front) runs with the ball past a Swedish defender of the Malmoe FF soccer club during an international friendly between Malmoe FF and the Brazilian national team in Malmoe, Sweden, 8 May 1960. Brazil won 7-1. Pele became famous when he played with the Brazilian national team at the 1958 FIFA World Cup in Sweden and won the first World Champion title for Brazil.